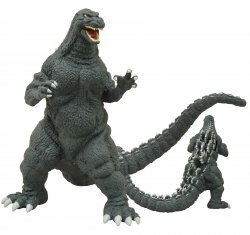 The latest release in Diamond Select's new line of vinyl banks features Godzilla as he appeared in the 1989 movie "Godzilla vs. Biollante! This vinyl bank of the city-destroying and alien-fighting lizard called Godzilla is based on his appearance in the 1989 movie Godzilla vs. Biollante! Cast in sturdy vinyl, the bank features a coin slot hidden between the fins on his back, as well as an access door hidden inside his removable tail! Stands 12 inches tall and measures 18 inches to the tip of his tail. Sculpted by Gentle Giant Studios. Comes bagged and tagged. Some assembly required. Tail needs to be mounted to body by lining up tabs, firmly pressing tail to body and turning. 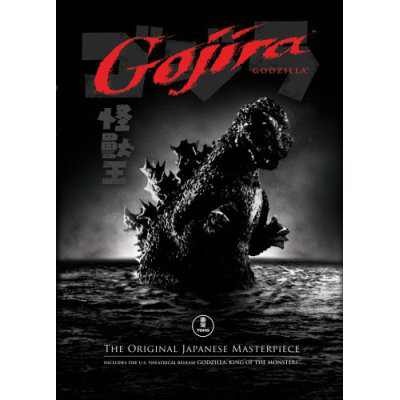 Gojira (Godzilla) Toho Master Collection Edition 2-DVD set New Sealed RARE!